Looking to hire The Delfonics for a private party, fundraiser, gala, public concert, wedding, college, fair or festival worldwide? BookingEntertainment.com makes it easy to get available dates, pricing and fees for booking The Delfonics. Fill out an entertainment request form and a The Delfonics booking agent who can assist you in booking The Delfonics will get back to you to discuss booking The Delfonics for your event. The Delfonics were one of the first groups to sing in the sleek, soulful style that became popularized (thanks to producer Thom Bell) as the "Philadelphia sound." A vocal trio made up of brothers William and Wilbert Hart and high school friend Randy Cain, the Delfonics roots go back to doo wop singing at school dances in the early '60s. They were well-known in the Philly area for their supple, airtight harmonies talent that brought them to the attention of record producers, eventually landing them a contract with Cameo-Parkway. While their early records brought them little if any notice, it did bring them to the attention of producer/arranger Thom Bell who signed the band to his soon-to-be influential soul label Philly Groove. Right from the start this was a perfect match as the band released the classic "La La Means I Love You" in 1968, a song that began a string of hits lasting into the mid-'70s. The sound that Bell created for the Delfonics was the antithesis of the soul sound that came from Stax in Memphis and Muscle Shoals in Alabama. He sandpapered away the grit, lightened up on the backbeat, brought in string sections, and created a smooth, airy sound. Critics enamored of the soul singing of Wilson Pickett and Otis Redding accused Bell and his groups of creating aural wallpaper, but the reality was that Bell and the Delfonics were setting the stage for a different kind of groove where subtlety and nuance reigned. The hits slowed for the Delfonics in the mid-'70s, and in 1971 Randy Cain quit the band and was replaced by Major Harris. A few more minor hits followed but Harris left the band for a solo career in 1975, effectively finishing the Delfonics. In the late '90s, the group played a significant musical role in Quentin Tarantino's film Jackie Brown. Tarantino, a borderline obsessive fan of '70s pop culture, used "La La Means I Love You," and their best single, "Didn't I (Blow Your Mind This Time)," as a way of underscoring the relationship between actors Pam Grier and Robert Forster. In the film, Forster's character is so struck by the music (and Grier), he goes out and buys the Delfonics Greatest Hits cassette the following day. Something I'd recommend you do too. 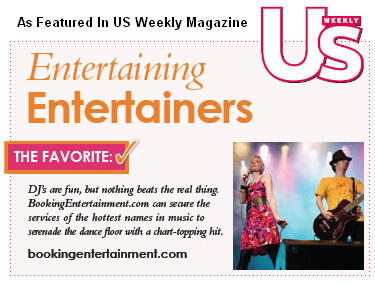 The booking agents at Booking Entertainment have helped clients book big name entertainers like The Delfonics for private parties, corporate events and public shows around the world for over 20 years. Our agents will be happy to assist you with any of your big name entertainment buying needs. All you need to do is fill out an entertainment request form or call our office at (212) 645-0555, and one of our entertainment agents will help you get pricing information and availabilities for The Delfonics or any other A-list entertainer for your next event. How Much Does It Cost To Book The Delfonics? Looking for The Delfonics booking fee and pricing? When you are booking an act like The Delfonics, many factors determine the final price, including the artist's touring schedule and other shows they may have in your area. Fill out an entertainment request form or call our offices at (212) 645-0555 and one of our booking agents will get you a pricing fee and availability for your date and assist you in booking The Delfonics or a different big name act for your next event. How Do I Hire The Delfonics For A Private Party? The booking agents at Booking Entertainment have been booking and producing big name acts for private parties worldwide for almost 20 years. Whether you are looking to book The Delfonics for a birthday party, Bar Mitzvah, Bat Mitzvah, wedding or anniversary party, your assigned Booking Entertainment agent will be happy to help you to book The Delfonics and take care of everything to make sure the show is executed flawlessly. Fill out an entertainment request form or call our office at (212) 645-0555 and one of our booking agents will assist you in hiring The Delfonics for a private event. How Do I Book The Delfonics For A Fundraiser or Gala? We have a number of clients that are looking to book The Delfonics or other big name acts for fundraisers and galas. Your assigned Booking Entertainment agent will be happy to help you to book The Delfonics and take care of everything to make sure the show is executed flawlessly. Fill out an entertainment request form or call our office at (212) 645-0555 and one of our agents will assist you to book The Delfonics or another celebrity talent for your next fundraising or gala event. How Do I Book The Delfonics To Perform At My Wedding? You might ask yourself, "Can I get The Delfonics to sing at my wedding?" We have a number of clients that are looking to book The Delfonics or other big name acts for weddings and wedding ceremonies. Your assigned BookingEntertainment.com agent will be happy to assist you in hiring The Delfonics to perform and make sure your wedding entertainment is executed flawlessly. Fill out an entertainment request form or call our office at (212) 645-0555 and one of our agents will get you a pricing fee and availability for your date. Booking Entertainment will assist you to book The Delfonics or another celebrity talent for your wedding. Who Is The Agent For The Delfonics? The agents at Booking Entertainment have booked big name acts like The Delfonics for clients around the world for almost 20 years. Although we are not an exclusive agency, we will assist you in submitting your offer to the appropriate company for consideration. When the offer comes from us on your behalf, you benefit from our reputation and relationships. Fill out an entertainment request form or call our office at (212) 645-0555 and one of our agents will assist you to book The Delfonics for your next public, private or corporate event. How Do I Book The Delfonics For A Corporate Event? Booking big name entertainment corporate events is a great way to thank your employees and clients, as well as a fantastic way to promote your company's image. The booking agents at Booking Entertainment have been helping clients book big name acts like The Delfonics for corporate events worldwide for almost 20 years. Whether you are looking to book The Delfonics at a trade show or an employee appreciation event, your assigned Booking Entertainment agent will be happy to help you to book The Delfonics and help to make sure that every aspect of the show is taken care of to make sure the show is executed flawlessly. Fill out an entertainment request form or call our office at (212) 645-0555 and one of our entertainment agents will assist you to get pricing and availability to have The Delfonics or another headline talent perform at your next corporate event.